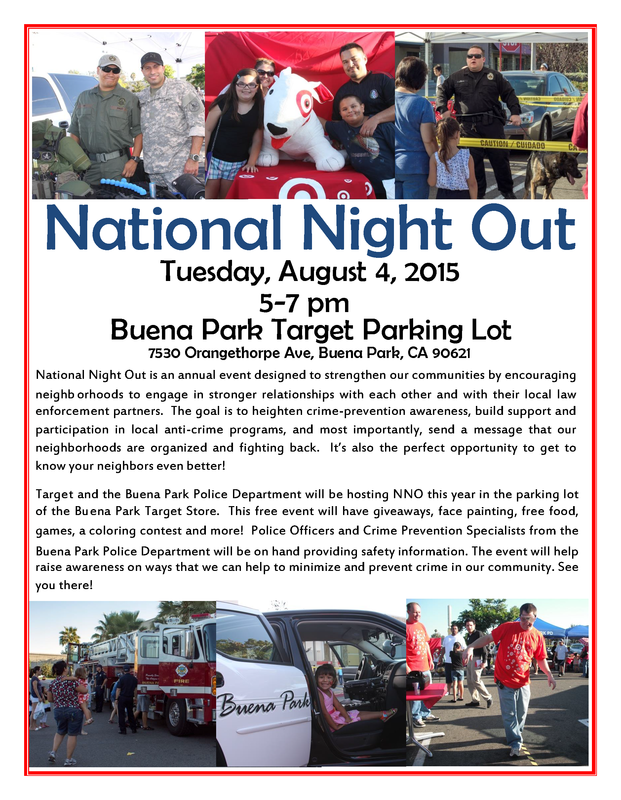 National Night Out Join the Buena Park Police Department and Target for a wonderful Community Partnership Event! 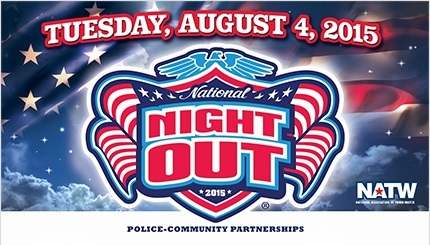 The Buena Park Police Department is proud to partner with Target in Buena Park to bring you National Night Out on Tuesday, August 4, 2015 from 5 to 7 p.m. Please come on out and join us! Please click on the icon below for a list of activities you will be able to enjoy at this worthwhile event.